Originally billed to be released during the summer, RapidWeaver 5 is finally here, and it looks like it has been worth the wait! The new version features an overhauled user interface, 6 all-new themes bringing the total number of built-in themes up to 45, a new HTML and XML site map generator with automatic search engine submission, bookmark manager and more. Perhaps our favourite new feature is the new Resources manager, which allows you to manage all your files in a single place. This is very handy when you want to offer PDF documents and other downloads from your website. 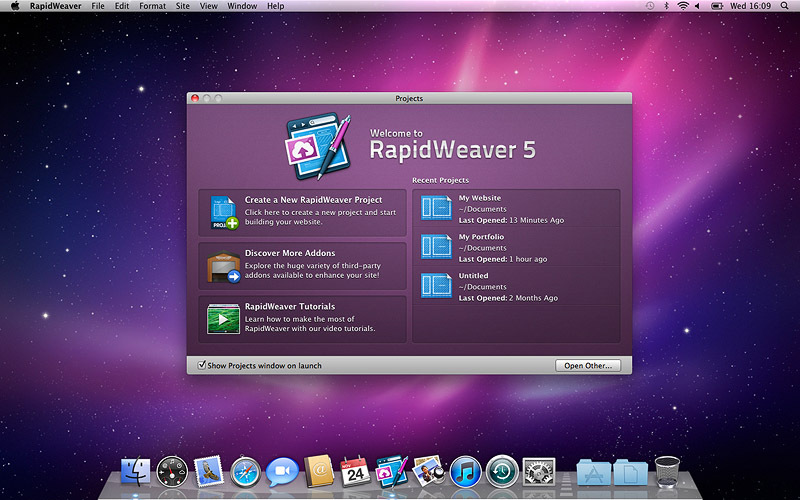 Learn more over at the RapidWeaver 5 page at Realmac Software here.